“Liquid Gold” is was what olive oil was called by Homer the famous Greek poet. If you are what you eat, what would happen if you consumed “Liquid Gold” daily? 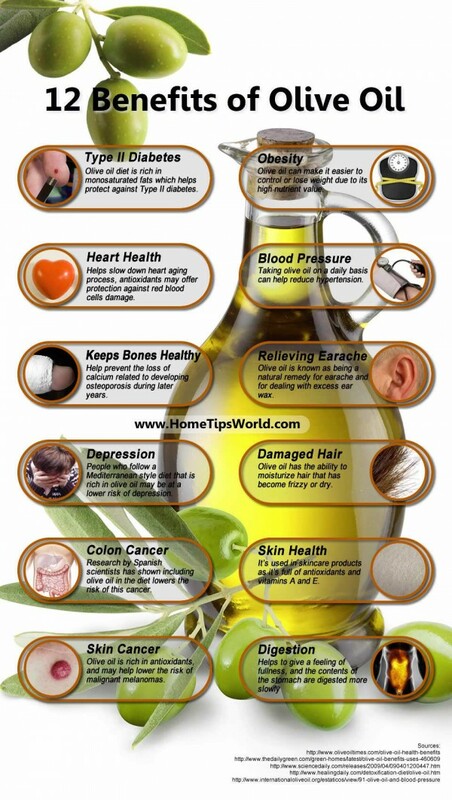 Visit our Olive Oil section here. A Mediterranean diet rich in olive oil has been shown to reduce the risk of type 2 diabetes by almost 50 percent compared to a low-fat diet, according to this Spanish study. It makes you feel full. In a study, participants ate low-fat yogurt over a period of three months. The yogurt was enriched with one of four edible fats: lard, butterfat, grapeseed oil and olive oil. “Olive oil had the biggest satiety effect. The olive oil group showed a higher concentration of the satiety hormone serotonin in their blood. Participants also reported that they found the olive oil yogurt very filling.” says Professor Peter Schieberle, Head of the TUM Chair of Food Chemistry and Director of the German Research Center for Food Chemistry. It slows down the aging of the heart. Those who consume it regularly are less likely to develop cardiovascular diseases. 4. Helps lower bad cholesterol and raise good cholesterol. Twenty-eight outpatients were given olive oil supplements once a day for six weeks had a decline in total bad cholesterol to good cholesterol ratios. People who consume olive oil have higher levels of osteocalcin protein which has a protective effect on bone, according to a two-year study. Too much wax in the ears can cause earaches. Olive oil can help soften and remove ear wax. In a study, it was found that those who consumed trans fats regularly had a 48 percent higher risk of developing depression, compared to those who consumed olive oil. It can be used as a deep conditioner to soften your hair and help repair damage. Also, consuming it helps hair from the inside-out because it is rich in vitamins A, B-1, B-2, C, D, E, K and iron. Olive oil can protect against bowel cancer according to research in 28 countries. Also, those with a high consumption of oleic acid ( a component of olive oil) had a 90 percent lower risk of developing ulcerative colitis compared to those with a low consumption. It moisturizes by penetrating deeply into the skin without clogging pores, unlike what many commercial skin moisturizers do. It does this so well that it is often used for skin conditions like eczema or psoriasis. Melanoma, a dangerous type of skin cancer, can be slowed down by consumption of olive oil which is rich in antioxidants, a study conducted by Dr. Niva Shapira from Tel Aviv found. Dr. Shapira says that consuming olive oil and other Mediterranean foods could be countering the oxidizing effect of the sun. Interesting fact: only three in every 100,000 residents of countries in the Mediterranean develop any form of skin cancer. Olive oil increases the production of peptides, which support healthy digestion.